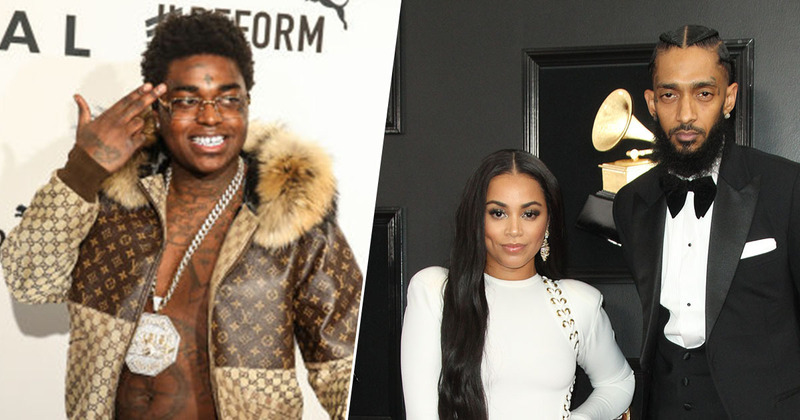 American rapper Kodak Black has been criticised by fans after revealing plans to pursue Nipsey Hussle’s girlfriend. Hussle died after being shot a number of times outside his shop Marathon Clothing in South Los Angeles on March 31, in an attack which also wounded two other people. CCTV footage revealed the 33-year-old engaged in a reportedly tense conversation with the suspect before the shooting. The rapper was taken to an LA hospital, but pronounced dead on arrival. Hussle was in a relationship with actor Lauren London, with who he had a two-year-old son, Kross. The rapper also had a daughter, Emani, from a previous relationship. Less than a week after Hussle’s death, 21-year-old Black, real name Bill K. Kapri, revealed in an Instagram Live video that he planned to ‘pursue’ London. She gonna be a whole widow. I’ll be the best man I can be for her. I’ll give her a whole year. She might need a whole year crying and sh*t.
I trying to be that friend to holler on… that shoulder to lean on… you can call my line. Although it’s possible the rapper meant he’d just try to be a good friend to London, his comments about being ‘the best man [he] can be’ suggest he’s after more than friendship. Needless to say, Hussle’s fans weren’t impressed. Kodak black is a disrespectful lil [sic] sh*t. How can you go on your platform and tell the whole world how Lauren London is single now and you giving her a 1 until you jump on her. The man hadn’t been even spent a week in the ground and you already disrespecting his wife. Black later shared another video in response to the backlash where he apologised to London, though he remained adamant he hadn’t done anything wrong. If I disrespected you, Lauren London, in any shape or form, I’m sorry. Even though I didn’t. Hopefully Black won’t bother London; she has more important things to think about after the loss of her partner.